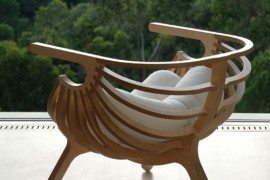 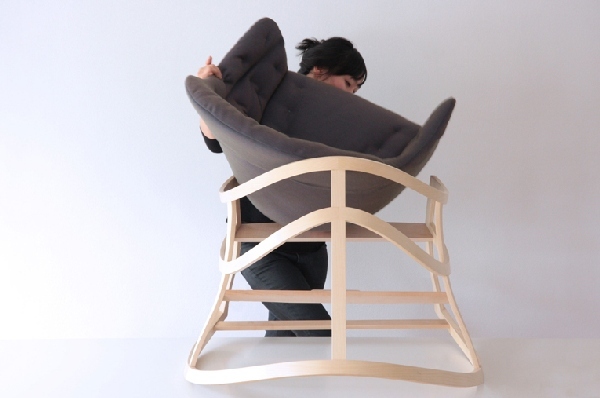 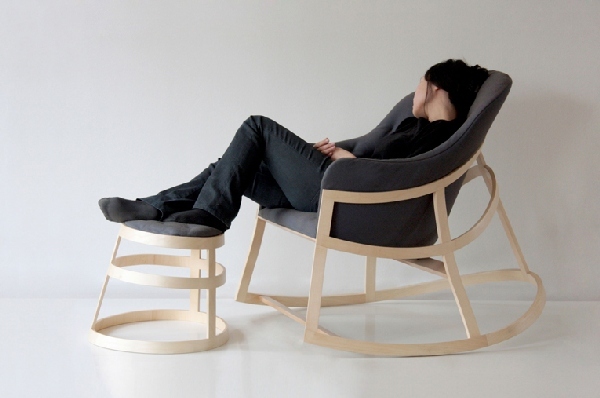 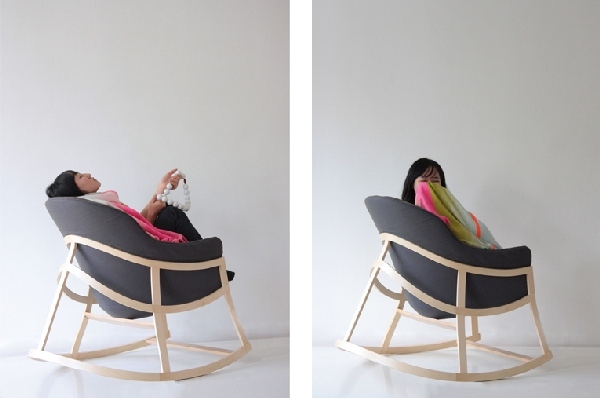 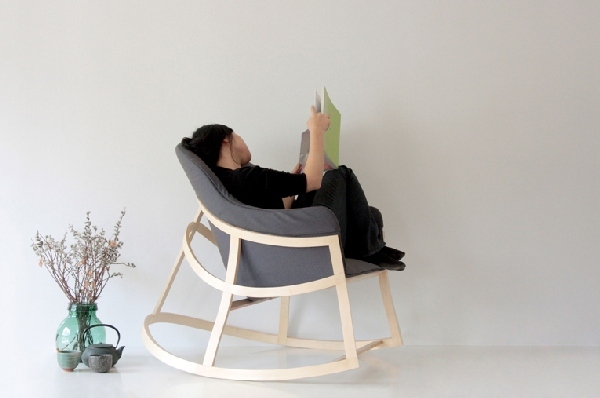 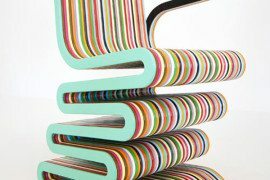 Constance Guisset‘s Dancing Chair is a modern reinterpretation of the comfy and dreamy rocking chair. 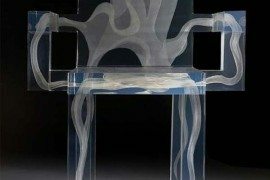 The enthusiasm captured by the design lines of this beautiful and contemporary piece of furniture is offered to the viewer and user as part of the experience. 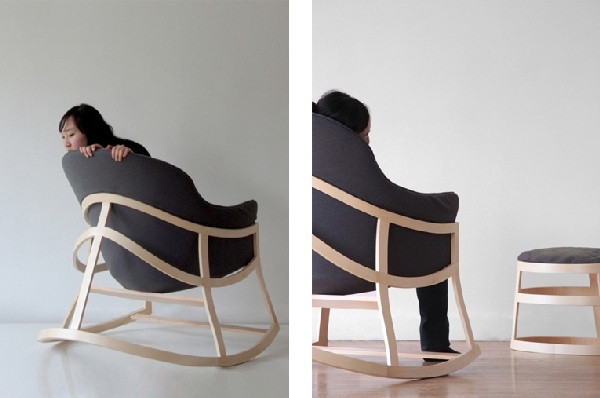 The French designer knew how to create and construct an amazing modern armchair and the small stool looks as part of the whole design, with its slightly slanted shape. 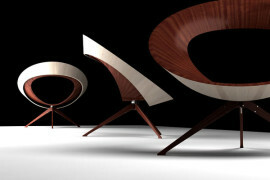 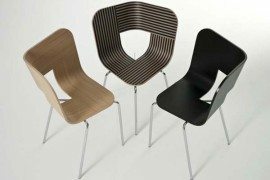 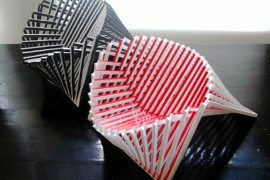 Bent pieces of wood shape the lower part of the chair and express its undulating design in a unique way. 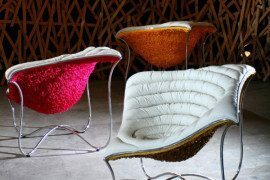 The upholstered seating unit embraces you with a shell-like appearance and offers many wonderful moments. 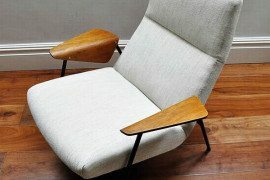 Can you look up throughout your home and spot the perfect place for this armchair? 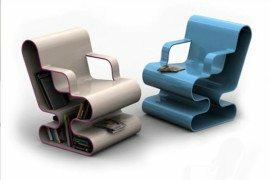 If not, maybe you should consider moving some things around to make room for the Dancing Chair.